High school job: Radio D.J. When Scott Poethig signed up for a developmental biology course in his senior year of college, he expected to learn how organisms transition from single cells to juveniles to adults. He did not expect to learn just how much scientists still didn’t know about this process. Poethig already had an interest in plant biology and an independent research project studying corn viruses. He immediately saw the potential in combining his knowledge of plants with his questions about how organisms grow. “There seemed to be a lot of low hanging fruit in plant development,” he says. Today, Poethig is the head of a plant development lab at the University of Pennsylvania. His work probes the complex molecular mechanisms that drive the transition from a young seedling to an adult plant that hasn’t yet produced seeds. Poethig discovered that for the mustard plant Arabidopsis, a model organism frequently studied by geneticists, change begins early. Before these plants begin to flower—a sign of reproductive maturity—they undergo a process of vegetative maturation. In Arabidopsis, Poethig found that juvenile plants can be distinguished from adult plants by where hairs are produced on a leaf. Juvenile plants only produce hairs on the upper surface of the leaf, whereas adult plants produce leaves with hairs on both the upper and lower surfaces. By studying mutant Arabidopsis plants where the adult pattern of hair development is either delayed or advanced, Poethig identified microRNAs as key players in this developmental transition. 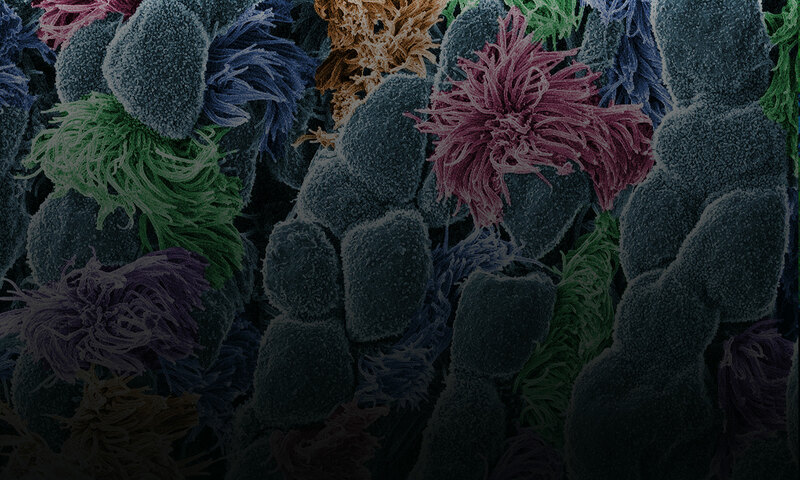 MicroRNA molecules commonly block the expression of specific genes. Poethig found that in Arabidopsis, a type of microRNA prevents development. Young plants have high levels of this microRNA and cannot fully mature. When those levels drop, plants progress to adulthood. MicroRNAs similarly control development in the nematode C. elegans. Scientists study the genetics of this tiny worm to better understand related developmental processes in more complex organisms. Because plants also use microRNAs to regulate development, Poethig’s discoveries may contribute to our understanding of how these molecules govern development in animals, including humans. Poethig now wants to learn what determines the timing of developmental changes. He asks: “Why do microRNA levels drop? What’s the signal that causes that? What is the plant measuring?” His current hypothesis: sugar. In a recent study, he found that giving plants additional sugar reduced microRNA levels and sped up development. Meanwhile, mutant plants that couldn’t produce enough sugar on their own through photosynthesis had increased microRNA levels and delayed development compared to normal plants. Besides studying the Arabidopsis plants in his lab, Poethig also studies the plants in his kitchen, and uses his fascination with the history, culture and politics of food to excite others about science. Watch video. 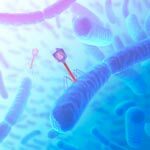 To dismantle the viruses that infect them, bacteria have evolved an immune system that identifies invading viral DNA and signals for its destruction. This gene-editing system is called CRISPR, and it’s being harnessed as a tool for modifying human genes associated with disease. 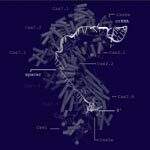 Taking another important step toward this potential application, researchers now know the structure of a key CRISPR component: a multi-subunit surveillance machine called Cascade that identifies the viral DNA. Shaped like a sea horse, Cascade is composed of 11 proteins and CRISPR-related RNA. A research team led by Blake Wiedenheft of Montana State University used X-ray crystallography and computational analysis to determine Cascade’s configuration. In a complementary study, Scott Bailey of Johns Hopkins University and his colleagues determined the structure of the complex bound to a viral DNA target. Like blueprints, these structural models help scientists understand how Cascade assembles into an efficient surveillance machine and, more broadly, how the CRISPR system functions and how to adapt it as a tool for basic and clinical research. Aspirin can help reverse inflammation as well as prevent it from occurring. Credit: Stock image. Ever wonder how aspirin knocks out aches? Scientists have known that medicine prevents an enzyme called cyclooxygenase from producing compounds linked to pain and inflammation, but they recently made another discovery about how aspirin works. Edward Dennis and colleagues at the University of California, San Diego School of Medicine researched aspirin’s effect on macrophages–white blood cells that play a role in the body’s immune response to injury. They found that in addition to killing cyclooxygenase, aspirin causes the enzyme to make a product called 15-HETE. During infection and inflammation, 15-HETE can get converted by another enzyme into lipoxin, a compound that terminates and reverses inflammation. Researchers will likely use lipoxin and similar compounds to develop new anti-inflammatory drugs. A healthy cell (green) that has ingested dying cells (purple). Credit: Toru Komatsu, University of Tokyo. 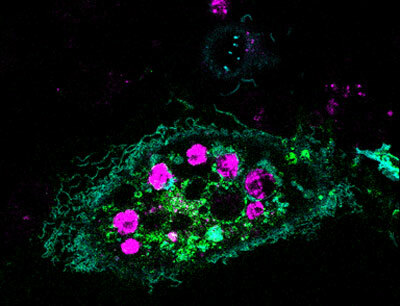 In this image, a healthy cell (green) has engulfed a number of dying cells (purple) just as a predator might ingest wounded or dying prey. A team of researchers is hoping to use this same strategy at the cellular level to help treat infection, neurodegenerative diseases or cancer. Our bodies routinely use a process called phagocytosis to rid themselves of unhealthy cells. Takanari Inoue at Johns Hopkins University and collaborators at the University of Tokyo set out to investigate the molecular underpinnings of phagocytosis. Their goal was to endow laboratory-grown human cells with phagocytotic skills, namely the ability to recognize, swallow and digest dying cells. The scientists tried to do this by inserting into the cells two molecules known to play a role in phagocytosis. The engineered cells accomplished the first two tasks—they recognized and surrounded dying cells. But they didn’t digest what they’d engulfed. Now the researchers are looking for a molecular trigger to get the engineered cells to complete this last task. Eventually, the scientific team aims to build artificial cells that are programmed to target and destroy abnormal cells, such as those ravaged by bacteria, cancer or other diseases.